As the headlining talent for this year’s Black Heritage Day, rap princess Cardi B turned it out for 43 minutes and got the hell out of there — and the audience loved every moment of it. 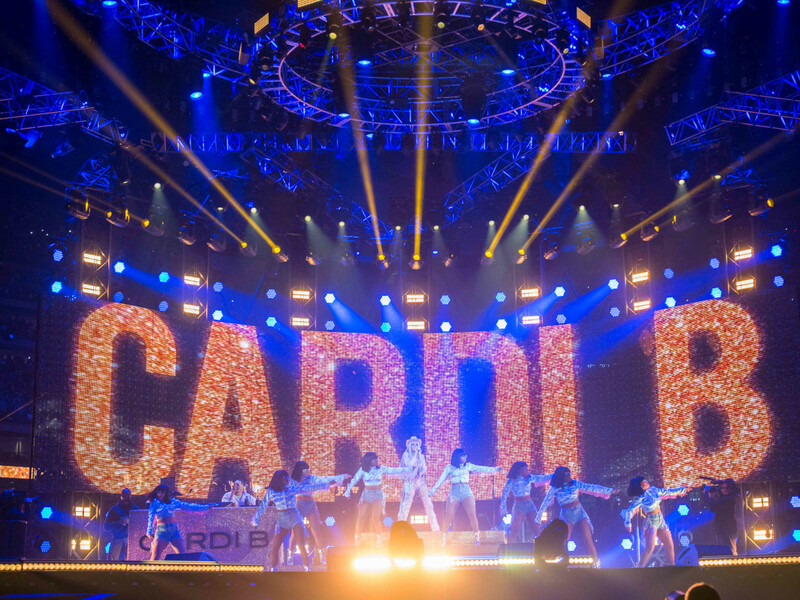 People were already pleased that the Rodeo got an A-list artist like Cardi for this year’s festivities. Many locals (especially African-American locals) cried foul when retro-soul singer (and Fort Worth native) Leon Bridges was booked as the headliner for Black Heritage Day last year. Some were miffed that the Rodeo couldn’t get a more popular performer. Despite Bridges doing an okay performance on the night in question (he even brought out beloved Houston rapper Bun B at one point), it was still the lowest-attended concert last year, with 51,870 in paid attendance. This year’s show was an entirely different story. 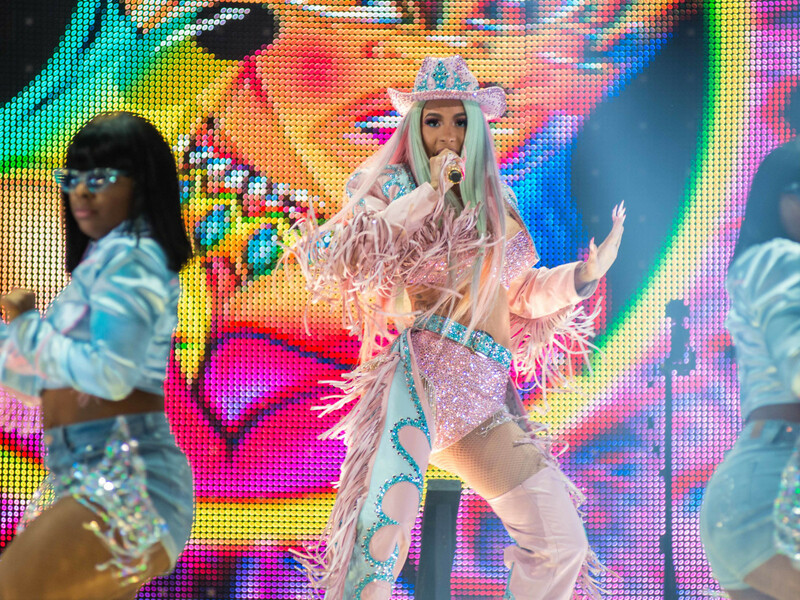 After the resident DJ warmed up the packed house with a few Gulf Coast rap favorites, Cardi came out to the center, star-shaped stage in an SUV at 9:07 pm, covered in a sparkly, pink-and-blue, fringed-to-hell cowboy outfit. 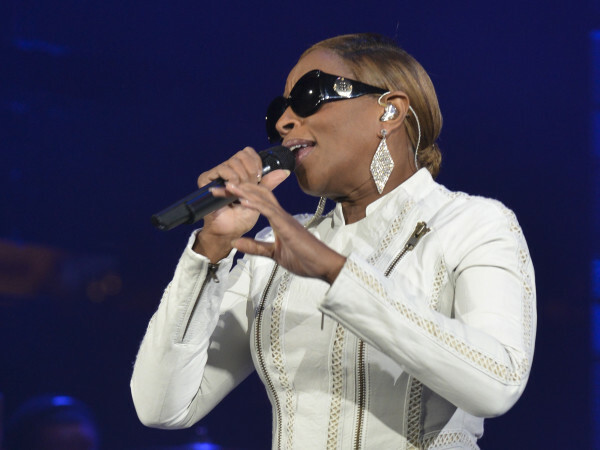 She got out the vehicle already hitting the audience with “Get Up 10,” the first track from her Grammy-winning, double platinum-selling debut Invasion of Privacy. 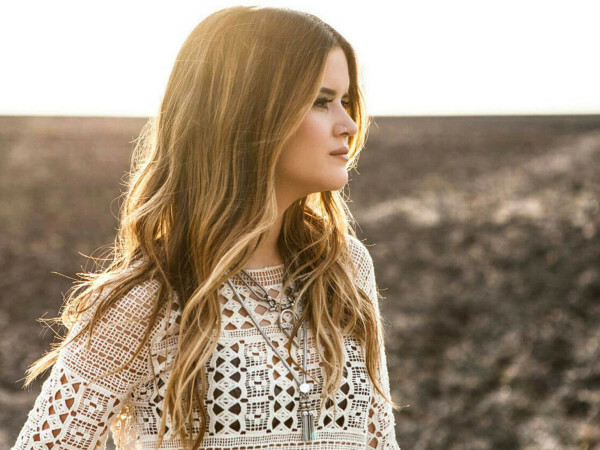 Once she hit the stage, she was accompanied by Daisy Dukes-wearing dancers who were equally fringed out. As much as she tried to keep it clean for the predominantly family crowd, some F-bombs came out during a couple of songs. The most R-rated moment of the evening came when she went into “Please Me,” her latest collab with Bruno Mars, and reminded everyone that, even though she’s a new mom, she can still come with those stripper moves. She obviously closed things out with her monster hit “Bodak Yellow,” stepping off the stage at 9:50. She got back in the SUV and did one more lap around the stadium, waving to fans out the window as the DJ played the oh-so-apt “Best Life,” her duet with Chance the Rapper. 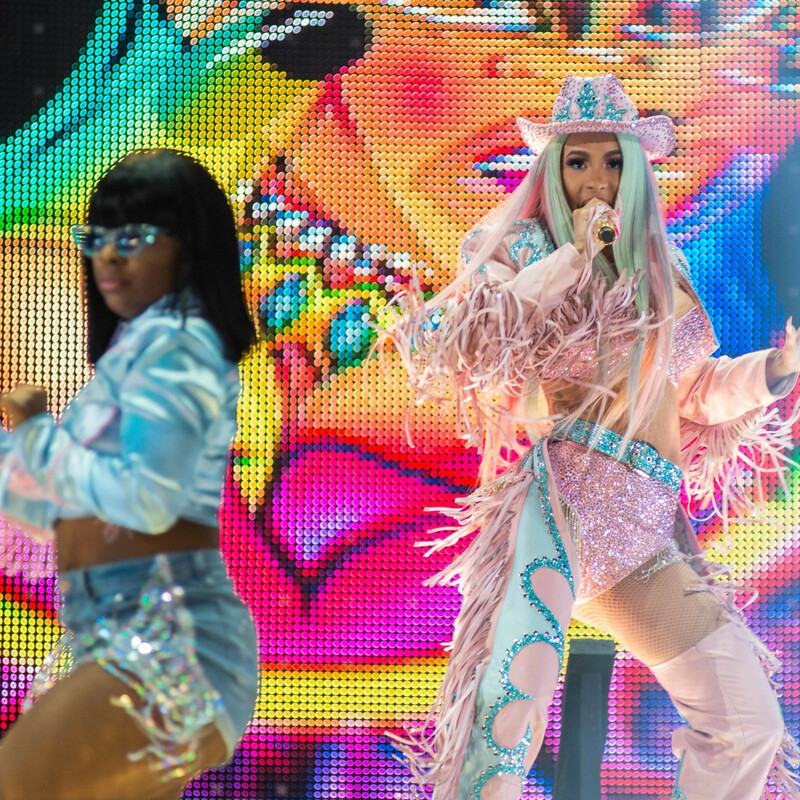 Though Bacardi gave Houstonians a short-and-sweet show, it was enough to bring in a paid attendance of 75,580, which is now a new record for the Houston Livestock Show & Rodeo. 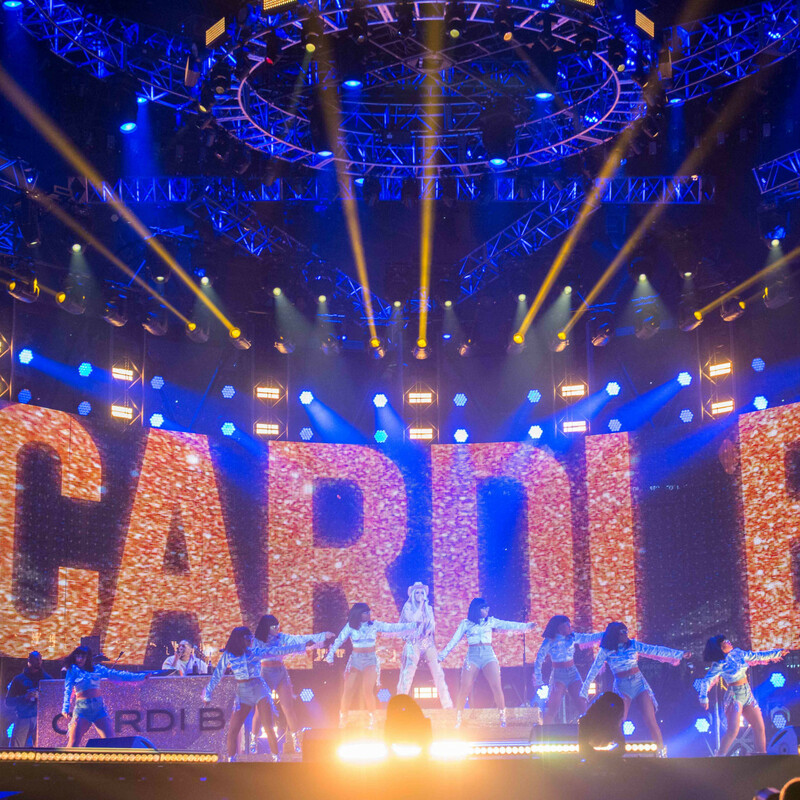 Cardi narrowly beat out the previous record holder, Garth Brooks, who played a sell-out show last year.